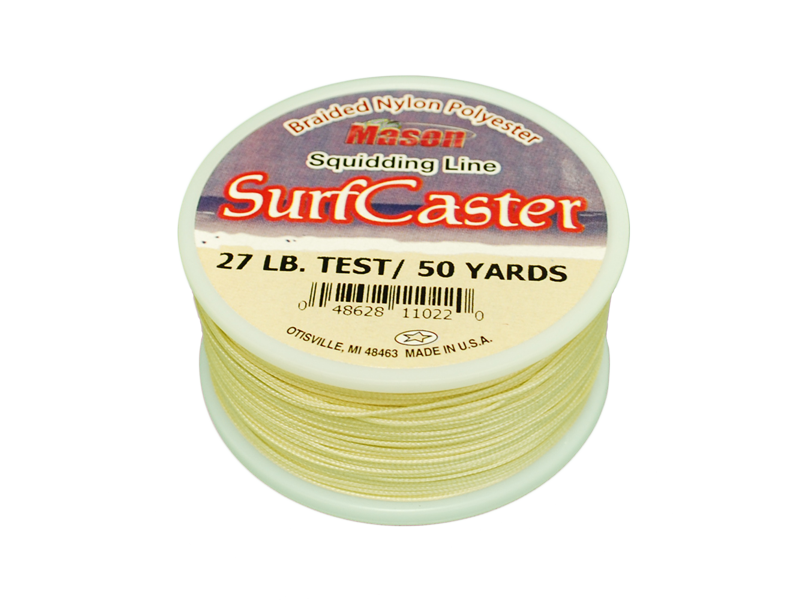 "SURF CASTER" Nylon Squidding Lines. Designed for salt water and fresh water fishing. A favorite of the surf caster, also for trolling. Soft braided with built-in lubrication to insure easy casting and long life. Pre-stretched and flattens out on the reel. Color is tan, which allows line to pick up color of water being fished. In Hawaii, this line is also used as a lead line for dunking because of its inability to stretch like that of monofilament lines. In other words, when your lead is stuck, it is easier to break the squidding line than a monofilament line that stretches.